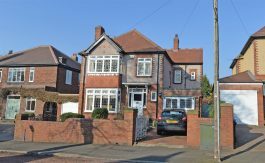 An amazing opportunity to acquire this exceptional detached house with a swimming pool and games room, located in the heart of Low Fell. The house is nestled in secluded gardens with a Westerly facing aspect to the rear which has a sun terrace, and a veranda servicing the two main bedrooms. The spacious accommodation comprises: entrance hallway leading to the pool room, ground floor wet room and games room with fully equipped bar, reception hallway with solid oak flooring and balustrade with sweeping staircase, cellar storage housing the boiler and pool filtration equipment, living room with a living flame effect fire, oak flooring and a bay window overlooking the rear, dining room with a bay window overlooking the rear, breakfasting kitchen with a central island, a range style cooker, integrated dishwasher and granite work surfaces, handy utility room. The gallery landing provides access into the master bedroom with dressing room and en-suite, two further bedrooms and family bathroom. There are two more bedrooms located on the second floor, an ideal area for a snug/office, and a wet room. Mature gardens surround the home and there is a driveway providing ample off street parking, and a double garage with remote controlled garage doors. 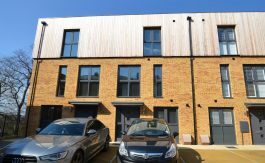 The home also comes with its own solar panels which provide approximately £1000 per year towards the energy bills. 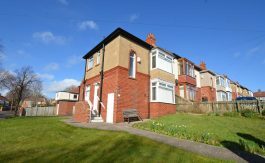 Viewings are essential to appreciate this fantastic family home. Entrance Hallway – Double doors open into the entrance hallway which has a Travertine tiled floor, bespoke radiator, window to the front, access into the pool room and access into the reception hallway. Swimming Pool – 9.05m x 4.66m – An 8.1m x 3.1m swimming pool, vaulted ceiling with exposed beams, Travertine tiled floor, two double radiators, bi-folding doors opening onto the sun terrace. Wet Room – With a low level w/c, pedestal hand wash basin, shower, tiling to the walls and floor, extractor, window to the rear. Games Room – 6.29m x 4.92m – With a vaulted ceiling, full size world class snooker table that will be remaining, polished floorboards, two double radiators, windows to the front, and raised access to the bar area. Bar – 3.60m x 2.95m – Solid wood bar with granite surface, three beer pumps, wine fridge, mood lighting, access to the garage. Reception Hallway – 3.56m x 3.51m – Oak flooring, bespoke radiator, access to the cellar, and a staircase leading to the first floor landing. Utility – 2.20m x 1.51m – Plumbed for a washing machine, tiled floor, window to the front. Cellar – 4.13m x 2.27m – With a Mexico boiler, power, lighting, filtration system for the swimming pool. Living Room – 7.2 x 4.3 – Living flame effect gas fire with a marble surround and hearth, oak flooring, three radiators, walk in bay window overlooking the rear elevation. Dining Room – 5.2 x 4.3 – Oak flooring, radiators, walk in bay window overlooking the rear aspect. Breakfasting Kitchen – 5.5m x 3.96m – Base and eye level units with granite effect work surfaces, range style cooker with gas hob and hood, central island, inset sink and drainer, integrated dishwasher, partial tiling to the walls, tiled floor, double radiator, windows to the side and rear elevations. First Floor Landing – 3.77m x 3.58m – A sweeping staircase with oak balustrade and spindles provides access to the gallery landing which has a bespoke radiator, and a window overlooking the rear sun terrace. Master Bedroom – 5.29m x 3.67m – Fitted sliding door wardrobes to one wall, coving to the ceiling, single radiator, walk in bay window to the rear, access to the sun terrace which has a wrought iron balcony and overlooks the West facing garden,. Walk In Wardrobe – 3.22m x 2.74m – Fitted wardrobes, built in storage, window to the front and open access into the en-suite. En-Suite – 2.51m x 1.92m – Corner steam shower cubicle, low level w/c, glass hand wash bowl with stand, vertical radiator, tiling to the walls and floor, windows to the front. Bedroom Two – 5.02m x 3.67m – Coving to the ceiling, fitted wardrobes to one wall, laminate flooring, single radiator, walk in bay window to the rear, access onto the balcony. Bedroom Three – 4.00m x 3.60m – Double radiator, window to the front. Family Bathroom – 2.45m x 2.44m – Free standing bath with central tap and mixer shower, low level w/c, hand wash basin and stand, partial tiling to the walls, tiled floor, towel warmer, integrated spotlights, window to the side. Second Floor – Landing with integrated spotlights, access to the eaves for storage, Velux window. Snug/Office – 3.61m x 3.40m – An open, versatile area with exposed beams, single radiator and two Velux windows to the rear. Bedroom Four – 5.29m x 3.06m – Exposed brick feature wall, two single radiators, three Velux windows. Bedroom Five – 4.31m x 2.94m – 4.31m is measured into the recess. Exposed beams, single radiator, access to the eaves for storage, two Velux windows to the rear. Wet Room – 3.57m x 1.30m – This room is built into the roof void and comprises: shower, glass wash bowl and stand, tiled walls and floor, Velux window. External – There is an amazing Westerly facing garden to the rear which is laid to lawn, has mature borders, a raised decked sun terrace which measures 10 x 3.5 meters with wrought iron balcony, and a secret wooded garden. There is a driveway to the rear which provides the home with ample parking for multiple cars, and a garden to the side. Garage – 6.77m x 4.74m – Remote controlled garage doors with power and lighting, a vaulted storage area and a storage room to the rear. Agents Note – The vendor has advised that the home comes with its own solar panels which provide approximately £1000 per year towards the energy bills.